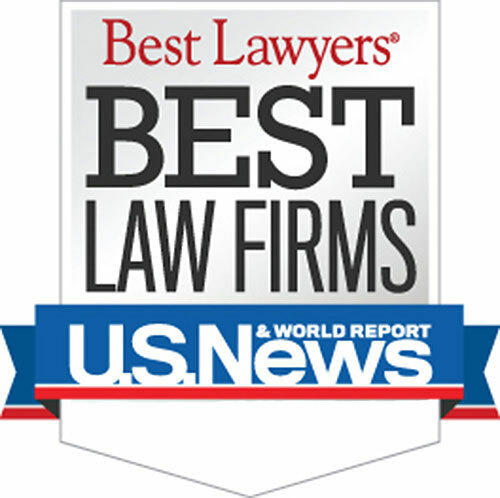 Attorneys Lawrence J. Buckfire and Robert J. Lantzy are regarded as the top child lead poisoning lawyers in the State of Michigan and Northern Ohio. Their efforts in the courtroom have helped hundreds of lead poisoned children and their families seek justice and fair compensation for their injuries. Their efforts in the community have assisted medical providers and health departments with their education and prevention goals. The hazards of lead paint poisoning have been known throughout the world since the early 1900's. However, it was not until 1978 that the use of lead paint became illegal in the United States after it was banned by the EPA. 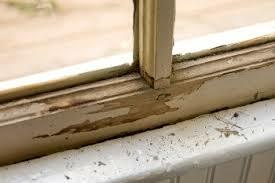 Most cases of child lead poisoning result from the ingestion and inhalation of lead based paint and particles. However, other sources of lead, such as vinyl mini-blinds and toys may also be a source of lead hazards. The number of children diagnosed with lead poisoning in Michigan is staggering. In 2016, there were 5,719 children under the age of six years old diagnosed with blood lead levels in excess of the definition of lead poisoning. The counties with the highest number of lead poisoning children in Michigan were Calhoun, Genesee, Ingham, Jackson, Kalamazoo, Kent, Muskegon, Oakland, St. Clair, and Wayne. The City of Detroit had by far the highest number of children diagnosed with lead poisoning in the entire state. The Centers for Disease Control and Prevention defines child lead poisoning as an elevated blood lead level greater than 5 micrograms per deciliter. Lead poisoning in children is typically detected through routine blood tests at annual exams. Many children have no symptoms at the time that they are lead poisoned, other than common child complaints like stomach pain or loss of appetite. Problems with behavior, learning, and development typically surface as the child progresses through elementary school. Landlords typically deny any knowledge of lead hazards in the home, despite local and federal regulations that require them to give notice of potential hazards to the tenant. Many landlords also refuse to abate or cover the hazards and demand that the tenants undertake these actions, which is clearly contrary to Michigan law. After a child is diagnosed with an elevated blood lead level, the diagnosing doctor or clinic sends a notice to the health department to perform an inspection to determine the source of the child's lead poisoning. Both the Michigan Department of Community Health and the Ohio Department of Health oversee county health departments to implement state procedures for inspections of properties. Many larger cities, like the city of Detroit, have their own lead poisoning prevention programs. It is often through these lead risk assessments that the paint hazards are identified in the landlord's rental property. Through document requests and depositions, our attorneys have been able to establish clear liability against the landlords. Many landlords are also held liable for their failure to provide their tenants with the required lead disclosure forms and pamphlets on child lead poisoning. The insurance companies for the landlords have paid significant settlements because of our efforts. Our own book written by Michigan lead poisoning lawyer Lawrence J. Buckfire, "Little Kids, Big Accidents," is a parents' guide to child injury cases in Michigan. It educates parents and guardians, in plain English, about the legal rights of injured children in Michigan. We'll send it to you for FREE! The statute of limitations for Michigan child injury cases varies from case to case. In Michigan, a lawsuit must be filed by the child's 19th birthday before the case is lost. This allows the child to make his own decisions after becoming a legal adult to file a lawsuit. If the case involves injuries to a younger child, you should not wait that long to file a lawsuit due to the difficulty of finding witnesses and other evidence necessary to prove and win your case. You should contact our attorneys immediatle if you are considering filing a lawsuit so you do not miss the filing deadline. Parents of children injured in an accident should contact the Michigan child injury lawyers of Buckfire & Buckfire, P.C. We will begin gathering the witness statements and evidence to prove and win your case. Call us now at (800) 606-1717 to speak with one of our experienced Michigan lead poisoning lawyers. We operate under a strict No Fee Promise, which means you will not owe us anything unless we are able to reach a settlement or jury verdict for your case. There is absolutely nothing to lose so do not hesitate! Call today to speak with an attorney about your child lead poisoning situation.